PARIS – (AFP) – Crop-damaging insects, bacteria, fungus and viruses are moving poleward by nearly three kilometres (two miles) each year, helped by global warming, a study has said. Since 1960, these pests have been heading either northwards or southwards at a rate of around 2.7 kilometres (1.7 miles) yearly. They move into land that opens up for habitat because of higher temperature and its impact on local weather. The distance is an average figure, as some pests have travelled faster or slower than this. Over the last half-century, global surface temperatures have risen by an average of 0.12 degrees Celsius (0.2 degrees Fahrenheit) per decade. Countries at higher latitudes have more resources than economies in tropical zones in combating the problem, and regions that previously were too cold for agriculture will also open up to the plough. Even so, the peril of advancing pests should not be under-estimated, as these countries are the planet’s biggest and most productive crop growers, says the paper published Sunday. “If crop pests continue to march polewards as the Earth warms, the combined effects of a growing world population and the increased loss of crops to pests will pose a serious threat to global food security,” said one of the authors, Dan Bebber. The study, appearing in the journal Nature Climate Change, cites previously published estimates that between 10 and 16 percent of the world’s crop production is lost to pests. Losses of this kind add to the challenge of feeding the world’s population, which currently stands at 7.2 billion and is projected to reach 10.9 billion by 2100. Half of the pests are spread by humans, hitchhiking for instance on traded produce, and half are spread by the weather. Recent examples include the mountain pine beetle, a highly damaging pest for forests, which has moved into newly warmed habitats in the US Pacific northwest. 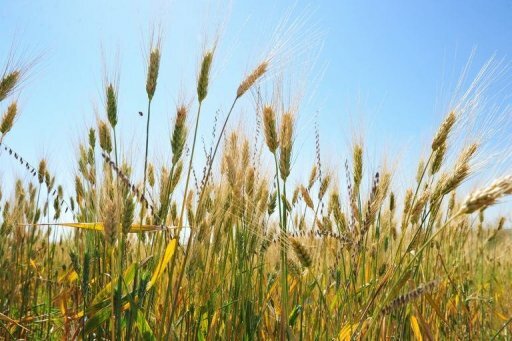 There is also fusarium head blight, also called scab, which has emerged as a threat to wheat in the United States, its spread encouraged by warm, wet weather. Another peril is rice blast fungus, which is present in over 80 countries and has now moved to wheat.